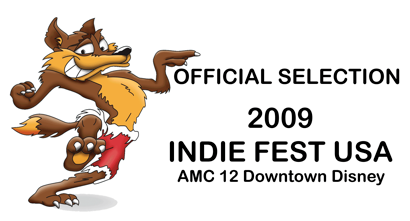 We are very excited to announce that The Path is an official selection of 2009 INDIE FEST USA! Our film will screen on Tuesday, August 25th at 4:30 p.m. at the AMC Theatre at Downtown Disney, in Anaheim, California. This is The Path’s first film festival! If you are interested in joining us for the screening, let us know via our Contact Form. INDIE FEST USA combines seven great days of independent films, plus great entertainment featuring live music, headliner concerts and more. Their mission is to advance the independent filmmaker and artists of motion pictures. And to recognize outstanding achievements in independent motion pictures and the community, while providing filmmakers with a supportive, positive and enthusiastic audience for their creative efforts.